It’s been a while since our last check in! We haven’t even gotten a chance to tell you that late last year, a physical version of Shovel Knight finally arrived for PS Vita. Since it’s been so long, we’d like to provide a status report on the PS4, PS Vita, and PS3 versions of Shovel Knight and all its expansions. Let’s dig in! Shovel Knight: Treasure Trove and Shovel Knight: Specter of Torment will be launching this April! Yay — the next expansion, Specter of Torment, is coming soon! But you might be wondering what is Shovel Knight: Treasure Trove? Before we get to that, we have more announcements to uncover! Body Swap Mode for Shovel Knight will launch simultaneously with Shovel Knight: Specter of Torment! Body Swap Mode is finally done! You can individually switch the body types of any Order of No Quarter Knight, Enchantress, Shovel Knight, Shield Knight, and Black Knight. 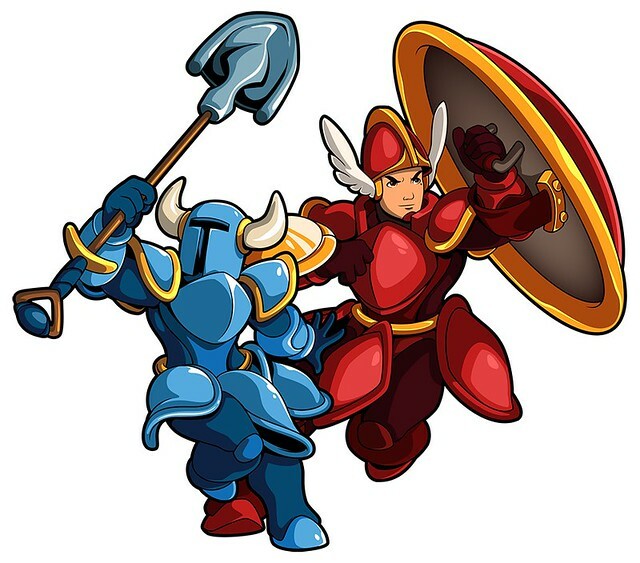 Here’s your first look at body-swapped Shovel Knight and Shield Knight!! Shovel Knight two player co-op will be available for PS4 and PS3! For the first time on PlayStation, local two player co-op in Shovel Knight’s campaign is coming as a free update. For all you music lovers, we’ve decided to add a Shovel Knight Sound Test Mode where you can listen to all the tracks from every campaign. It’ll be a free update to all versions of the game. This will be the first time you can experience Specter of Torment. Be sure to join us! 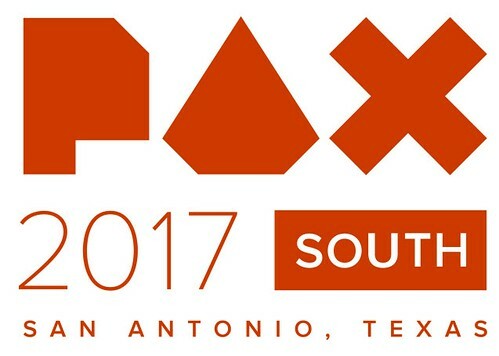 And be easy on us… it’s our first time at PAX South! Okay! Soon, the game you now know as Shovel Knight will become Shovel Knight: Treasure Trove. When that happens, you’ll also have new options to purchase each campaign as separate, standalone games on PS4. Shovel Knight: Shovel of Hope — Shovel of Hope is our new name for the original Shovel Knight game. But it needed a title like the others! What do you think? Shovel Knight: Plague of Shadows — Plague Knight’s Campaign emerges from the Shadows to hopefully get some recognition this time! Shovel Knight: Specter of Torment — Specter of Torment is our most expansive campaign yet. We’re so excited for you to become the reaper! Shovel Knight: King Knight’s Campaign — A crazy campaign with the gilded goob himself! Shovel Knight: Battle Mode — On PS4 and PS3, duel with up to four players as your favorite heroic or villainous knight! Why is this happening? Well, we hope providing less expensive standalone versions will provide better entry points for different types of players. Also, players can more easily grab an adventure (or Battle Mode) on another platform. All owners of Shovel Knight on all platforms will automatically own Shovel Knight: Treasure Trove instead and will continue to get each of the planned free campaigns and features via updates. It will work exactly like how Shovel Knight was updated to include its first campaign addition, Shovel Knight: Plague of Shadows. Don’t worry! In the spring, we will be raising the price of Shovel Knight. If you haven’t picked up Shovel Knight yet and want all the content included within Shovel Knight: Treasure Trove, buy it now before the price increases this Spring! Or pick a selection of the standalone versions for a cheaper price. Don’t forget King Knight’s very own campaign and the 4-player Battle Mode are still on the horizon for 2017. As described above, they will become available as standalone games on PS4 and will also be delivered as free updates Shovel Knight: Treasure Trove on PS4, PS3, and PS Vita. Look forward to more news on these in the future! We understand all the news might leave you a bit puzzled. If you have any questions, let us know and we’ll continue to update this page. Whew! That’s all we’ve got for today. Look forward to Shovel Knight: Specter of Torment on PlayStation very soon. Yacht Club is doing it right by rewarding their most loyal fans. I’m really looking forward to this! Can’t wait for Specter of Torment! Quick question though, is the 2 player co-op mode coming in April as well? Or is that later this war? I suppose the biggest question is why you guys thought it was necessary to split the game up like this. Instead of calling DLC campaigns what they are – DLC – you’ve split Shovel Knight and its DLC into multiple individual editions and standalone games and have resulted in a much more confusing process. 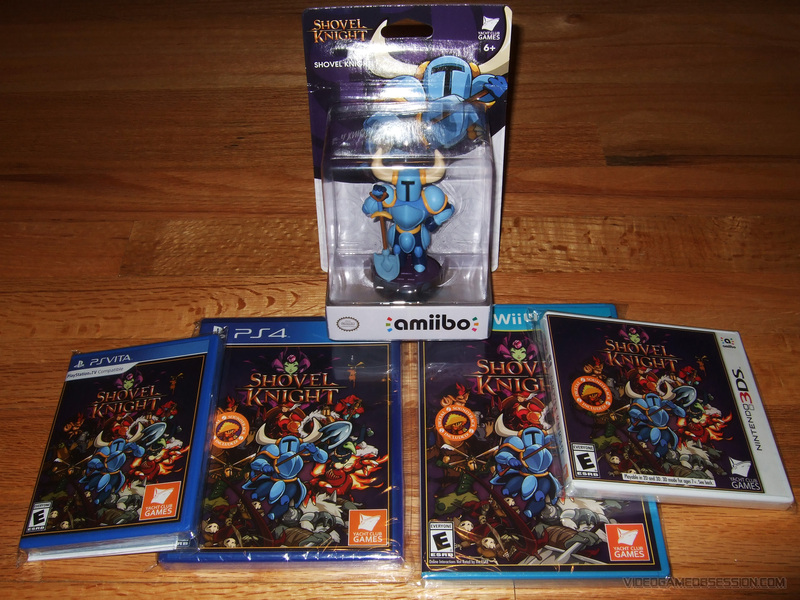 No one will understand what they’re trying to buy in the future if they want to buy just straight up Shovel Knight. “Shovel of Hope” is a new name and it will make people think it’s a DLC because they’re looking for the original game named “Shovel Knight” by itself. Why? Because it’s good for business. Yes, there will be a small amount of confusion, but I think everyone who is looking for JUST shovel knight who knows it as just shovel knight… probably already bought it. I mean…normal people who don’t wildly throw their money away on things they can’t even bother to read a 1-2 sentence description of first, don’t really have this problem. It’s not remotely confusing to most people. Wow they just keep shoveling on content! Cant wait to dig into the newest modes and campaigns. Is that co-op for regular(classic)Shovel Knight,and do i need to buy it digital or physical to play co-op? If you own Shovel Knight, you will be able to play co-op! 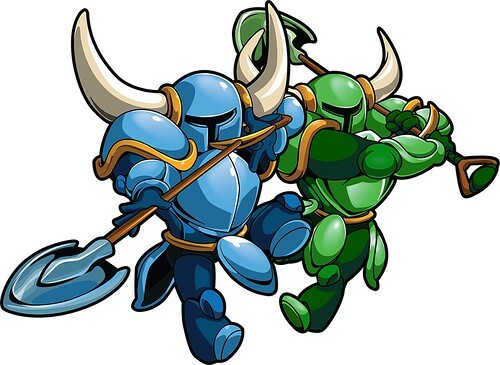 I have yet to buy Shovel Knight but its a confirmed buy,I like eveything about the game.Also its really cool to see the support you guys are giving to the game…real DLC,its always good to see devs doing that. Thanks for the local co-op and above all the Sound Test Mode…I miss that so much in games,nowadays its hard to see devs who care about their fans but seems like you guys are part of a species in extinction.Always loved to hear the soundtrack inside the game. I think you’re just playing the wrong games… I’ve played several games in the past year with ‘music player’ modes, with various forms of extra features to explore the game. Nights of Azure, for example, had a full music player that also included little captions from the sound design team explaining their thought process and the design process for that particular tune. Every Atelier game has the ability to customize which track plays where. Even FFXV has a ‘music player’ built-in that allows you to listen to various tracks from the game AND from previous games in the series wherever you are. The list goes on, really. When you release Specter of Torment, will we have every Specter Kinght’s feat as individual Trophies? I mean, Plague Knight was nice but it was unfortunate that we get every single feat for one single trophy. Will there have also trophies related to Challenges, Co-op mode? Played it only for like 30 minutes and didnt enjoy it much. I just want to say these different names are extremely confusing. Might give it another chance if its discounted before the price increase, but would love some more info if there is any different/fun gameplay options in the new stuff. Sorry to hear that. Hope you give it another shot. Plague of Shadows and Specter of Torment both play completely differently than Shovel Knight and you might enjoy it! Oh man. Games having different names is sooooo confusing! I’ve just been playing pong for the last 40 years because I can’t even figure out how to get a game with a different name in my video computer box! Thank you guys so much for these upcoming updates, especially the 2 player local coop. Which is coming when? You guys have been the best w/ releasing DLC and offering it to us all for free!!! That is a practice more devs for sure need to take part in. Shovel Knight is an excellent game that keeps getting better. Thank you for all of your hard work! Shovel of Hope huh? Interesting. Almost like a certain other IP that rebranded its first outing. What was it called again? Trek Wars? Babylon Star? Ah, I’m probably just imagining things. How about local co-op play for the PS TV?